It's hard to believe that in a matter of weeks that training camp will open for the NFL. It's been an interesting spring for myself, since I've had to deal with eye surgeries and now with shoulder injuries. I'm probably the one sports writer that has more injuries then the athletes that I write about. I'm just hoping that I'll be feeling up to covering the Detroit Lions vs the Tampa Bay Buccaneers here in Florida on August 24th at Raymond James Stadium. What we are going to do in this story is talk about four interesting story lines leading up to opening week. 1) Dez Bryant - The Dallas Cowboys cut him after three non-productive seasons and have revamped their receiver core through free agency and the draft. Where will the unemployed Bryant subsequently land? Bryant had an opportunity to land with the Baltimore Ravens but passed on a contract offer. Initially Bryant wanted to stay in the NFC East but there was no interest in him. The only three places that make sense for me are the Green Bay Packers, the New Orleans Saints, and the Jacksonville Jaguars. Bryant would actually be an ideal fit in Green Bay because you have a championship and future hall of fame quarterback in Aaron Rodgers throwing spirals to him. With the Cowboys, Bryant was known for his tirades with the teams quarterback as well as the coaching staff. With Rodgers, I couldn't see any of that occurring because Aaron would definitely put him in his place. If a receiver can't produce with Rodgers then he should be out of the league. I still find it hard to believe that Jordy Nelson was let go during the off season. In New Orleans, Drew Brees is running the show, and like Rodgers has a championship pedigree and would be no nonsense towards Bryant antics. With Green Bay and New Orleans, Mike McCarthy and Sean Payton would be able to tame Bryant's temper and if he was non-productive, Dez would be looking for another job immediately. In Jacksonville, under the leadership of Tom Coughlin and Doug Marrone once again they're no nonsense disciplinarians who would also put Bryant in his place. Coughlin is a two time Super Bowl winning coach and is actually a God in Jacksonville because of the teams most successful years have occurred with him calling the shots. Quarterback Blake Bortles is a most inexperienced of these quarterbacks and is long as Blake can accurately throw Dez the football, this could be a productive tandem and give Bryant an opportunity to resurrect his career, in hopes of securing a longer term contract in 2019. 2) Blake Bortles - During the off season the Jags gave Bortles a contract extension for leading the team to the AFC Championship game against the New England Patriots. The Jags came up a little short in the fourth quarter and were unable to reach their first Super Bowl. Bortles will have a tough road to get back to the post season as he faces Super Bowl Champion Philadelphia Eagles the Pittsburgh Steelers, New England Patriots, and a healthy DeShaun Watson of the Houston Texans. The Tennessee Titans, led by QB Marcus Mariota always give the Jags a battle. Will the Jaguars regret giving Bortles a contract extension? Time will tell. If Jacksonville doesn't reach the post season then the critics will be like great white sharks and for a team that a year ago thought about acquiring New York Giants QB Eli Manning it will be interesting to see whether there are enough good options in free agency or whether to develop another signal caller through the 2019 draft. I will say this, if Bortles notching two playoff wins there are a lot of excellent quarterbacks who haven't even won a playoff game a couple that come to mind Andy Dalton, Mathew Stafford. It will be interesting to see how this unfolds. 3) Jameis Winston - We are going to stay in the State Of Florida and talk about the signal caller for the Tampa Bay Buccaneers. Winston is a very lucky young man. Normally the NFL's suspension for violating the personal conduct policy is six games, instead he received a three game suspension for groping an Uber driver. He was smart taking the suspension this year instead of next year where his contract is going to be much higher. I have always found it to be a risky proposition when you draft a player at the top of the first round especially No. 1 overall when he has had a track record for personal conduct issues as he did at Florida State University. Aside from the fact that he is a talented player, the Tampa Bay Buccaneers wanted to draft an in state kid who they thought would have success on the field ad who would put fans in the stands. Winston has played for Lovie Smith and Dirk Koetter. Being absent for the first three games missing the Saints, Eagles and Steelers is a huge loss for Tampa Bay. The Buccaneers could start the season 0-3 and have their work cut out for them, unless Koetter can get a win or two out of experience backup Ryan Fitzpatrick. Koetter could very well be on the hot seat if the Buccaneers don't reach the payoffs. I have friends in Tampa Bay that have told me that the local media and fan base would love to see the Buccaneers cut Winston and feel that is was a mistake that the team should have drafted Mariota. If the Buccaneers were to cut Winston, the 24 year old signal caller would easily get picked up by another team therefore, the Bucs are in a catch 22 situation. They are damned if they do and damned if they don't. One can only hope that Winston stays out of trouble because if he doesn't the NFL will permanently ban him and he will go down as a talented quarterback that became a BIG BUST. 4) Tom Brady - The former University of Michigan Quarterback will turn 41 by the time the regular season starts in September. One thing is for certain, he'll be inducted into the Pro Football Hall Of Fame during his first year of eligibility after he retires when the five year waiting period is over. Brady is 5-3 in the Super Bowl and the three Super Bowl losses were tight contests twice against the New York Giants and once to the Philadelphia Eagles. How long will Brady play until? He seems to think he can play until he's 45. But there is perception and there is reality. 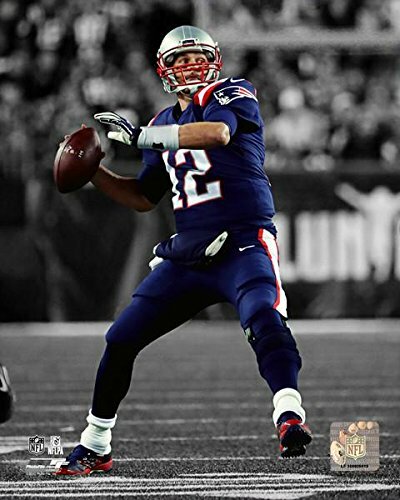 The most recent report indicated that Brady will play one more year. During the off-season, Brady did not train with the team and didn't attend off season training activities and voluntary workouts. Whether he was pondering retirement this year is something that he'll never admit to the public. During his career, Brady did once suffer a season ending injury and I can only imagine if he sustains another major injury whether father time will expedite his retirement. During this off-season, the Patriots had significant roster and coaching turnover. Is there a sixth Super Bowl left for the former Wolverine or does the AFC have another team that will play in the biggest game on the planet in February? Do the Patriots have Brady's replacement on their roster right now? I don't think so and that is the only way that I think he will stay as long as he can. But his waffling during the off-season makes me wonder whether he will ride off into the sunset like Peyton Manning and John Elway did, going out on top. Scott Morganroth is a member of Detroit Spots Media. Candy Ebling contributed to this story.